The Tokyo Game Show (also known as TGS) is the world's largest video game convention with more than 193,000 attendees last year. Every major Japanese game developer (except Nintendo) and most major western publishers have booths and show off their new Japanese focused games. The first two days are industry insiders only but the last two days anyone can pay 1,000 Yen (less than $10) and play games at more than 170 booths. Japanese Booth Babes - The Tokyo Game Show has tons of cute Japanese booth babes around every corner. Anime & JRPG's - This is THE show for announcing and demoing new Anime and Japanese style RPG games. If you like these genre's TGS will be like heaven to you. Tokyo - The show is in Tokyo. It's a great place to visit even if there wasn't a huge video game convention. The last two E3's do not make this list, they were bad. 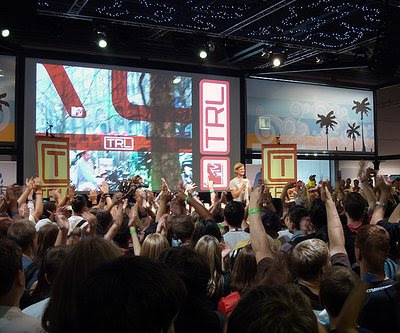 But before 2007 E3 was the greatest spectacle of gaming in the world. Hundreds of booths, thousands of booth babes, and even more games to play. Many of them only announced to the public days before. 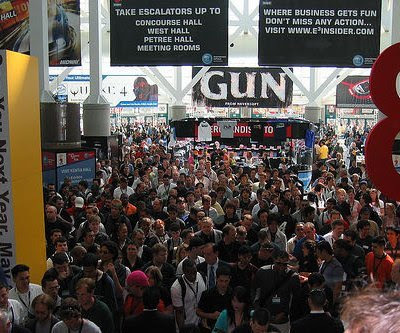 The show is only open to industry members (though the definition seems to be fairly flexible judging by the people you see inside) but if E3 goes back to the Pre-2007 format try everything you can to go. What Makes E3 Pre-2007 Great? Game Announcements - Many publishers announce games for the first time at E3. 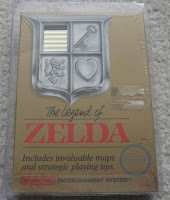 Remember realistic Zelda when it was first shown by Nintendo? Some gamers in attendance cried tears of joy. Game Demos - Every major publisher demos their major releases for the coming year and you get to be one of the first to try it out. 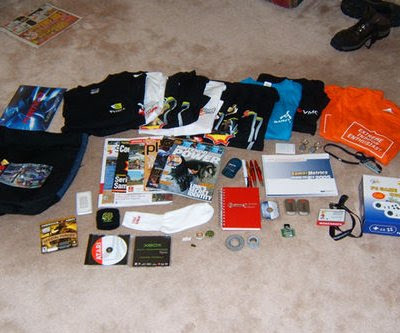 Swag - There is so much free stuff being given out you can almost pay for your trip by Ebaying it all when you get home. 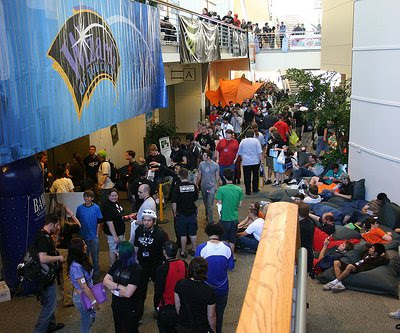 PAX is a gaming "festival" started by people at the online gaming comic Penny Arcade. It's three days of gaming, concerts, tournaments, and gaming panels. All of it included for $45. The show is relatively new, but attracts a whos-who of publishers and developers. 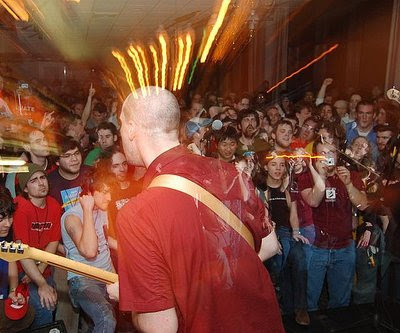 The 2008 show is this weekend so you can quickly cross one of these conventions off your list if you don't have any plans this Labor Day weekend. OmegaThona - 20 lucky attendees compete in 6 elimination rounds of gaming. 2008 includes Peggle, Boom Blox, Pictionary, Rock Band, and Jenga. Last years winner won an all expense paid trip to Tokyo for TGS. PAX 10 - 10 Indie games chosen by a panel and then voted on by attendees. Great exposure for independent game developers. Tournaments - Tournaments for Halo 3, Smash Brawl, Starcraft, Team Fortress 2, and more games. There's even a tournament for the Settlers of Catan board game. "Coolest f****** arcade ever!" This quote pretty much sums up California Extreme. 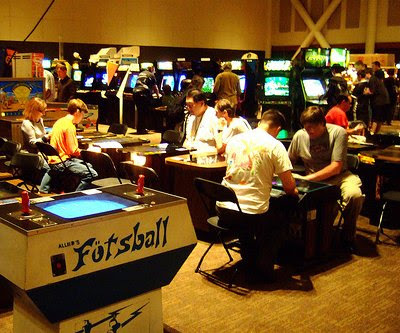 It's a gaming convention dedicated solely to coin-operated pinball, video games, and table top games. People from all over the country bring their arcade cabinets for you to play. Many of them are prototypes you've never seen before. The best part, every game is set to free play too so you can relive all your adolescent gaming dreams without filling your pockets with quarters. Pinball - A huge selection of pinball games, both new and old, and speakers about customizing and building your own pinball cabinents. World Records - Twin Galaxies is usually on hand to watch people attempt gaming world records. You might be lucky enough to watch history being made. 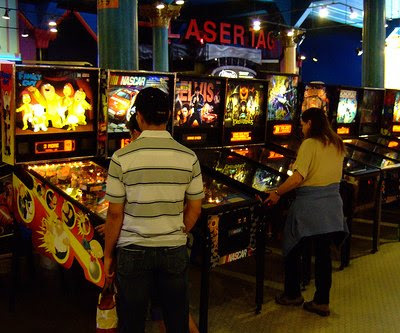 No Quarters Needed - Every pinball and arcade game is free so you don't have to carry a huge bag of quarters. The Games Convention in Leipzig Germany is Europe's biggest gaming convention and only second in the world to TGS. More than 185,000 visitors pack four halls and an outdoor grounds so they can play the newest games. 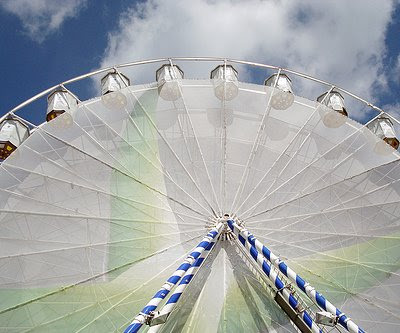 Unfortunately the 2008 show just finished, but that gives you almost a whole year to lock in your vacation time and look for the best airfare. 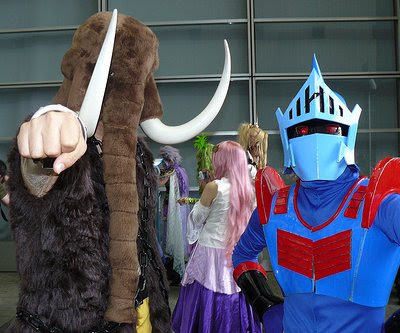 What Makes The Leipzig Games Convention Great? Europe - The cheapest way for Europeans to get in on the gaming fun since its the only major game convention in Europe. European Vacation - After you go to the Games Convention spend a few weeks touring Europe. A EuroRail Pass will get you almost anywhere in less than half a day. Part Convention - Part Fair - Video games are the focus, but the show has a huge outdoor fairgrounds area with beach volleyball, ATV's, and other festival booths. BlizzCon is put on by Blizzard Entertainment and is dedicated to Warcraft, Starcraft, and Diablo games. It is a PC gamers dream with thousands of new PC's setup on huge LAN's. The show is hard to get into though because the tickets sell out so quickly. 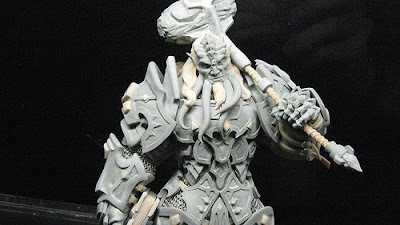 With new games like Diablo III and Starcraft 2 on display at this years show, BlizzCon sold out in less than 30 minutes. 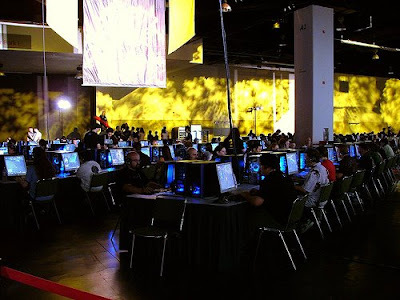 PC Gaming - BlizzCon is focused on PC gaming. There are endless rows of PC's with the latest games to try out and on the best hardware. Meet Your WoW Clan - The best place to meet people from your World of Warcraft clan in person. That cute elf is played by a guy? It's best you found out now. 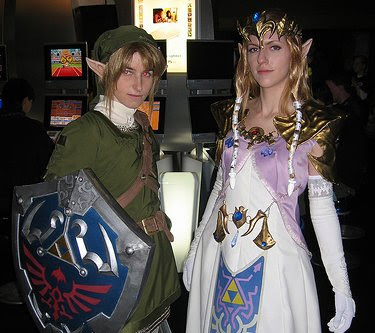 Gaming conventions don't have to be huge masses of people all flocking to play the newest games. Smaller fan focused game conventions like MAGFest are great ways to actually meet some fellow gamers, play some new games AND some classics, and still have a bit of personal space. MAGFest has enough going on to keep you entertained and is a great change of pace from the other massive shows on this list. Fan Show - The show is run by fans and is a much better place to meet fellow gamers. 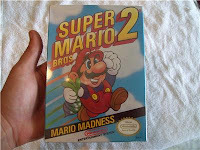 Classic Gaming - Lots of classic games to go along with the next gen stuff. You don't always have to play the newest games at a gaming convention. 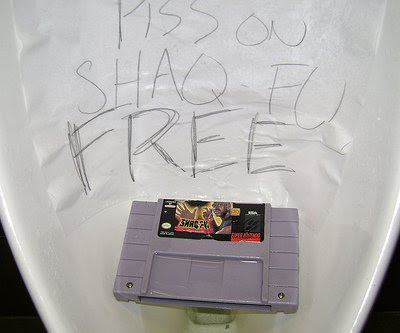 Urinal at the Convention. MAGFest has a sense of humor.